Ring, ring: hello, it’s time to hear about the 8 best smartphones for music lovers in India. You have come to the right stop for all your music lovin’ smartphone needs if you live in India, as all of the phones on our list are available for purchase there. And if you think this is overly specific, just try to remember that almost 1.3 billion people reside in the country, and not every phone is available there, so specific lists like this can prove invaluable. I’m not a music lover. It seems odd, like a very weird thing to say. Who doesn’t like music? Liking music is so universal that it’s almost a joke to say that you like it. It’s like liking air. Well, I do like music. I just don’t love it. There are certain artists I enjoy, but on the whole I don’t really mark out over particular songs. Due to my birth year and general weirdness, I know A LOT of rap lyrics from the 1990s and 2000s (and I mean A LOT, like whatever you’re thinking, double it.) Still, that’s not necessarily a love of music. That’s more a love of words. And maybe that’s precisely it, for me I prefer the music of prose. However, for the general population I respect the fact that music is incredibly popular and powerful. You music-lovers may also be interested in the 11 Best Smartphones for Music Lovers. Listening to music is very important, it helps you relax and cope with some of your problems. Some people spend a lot of time listening to music because it can help them fall asleep, be more productive at work, or help them remember more while studying. Music can even motivate you to get work done. 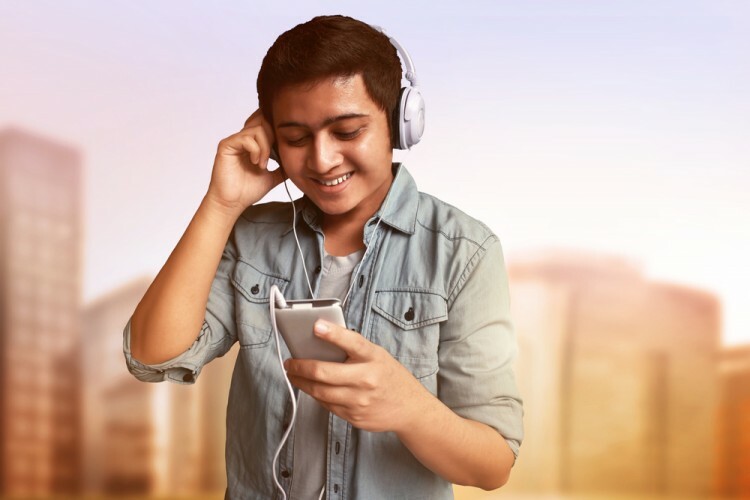 For those who are addicted to music and can’t imagine functioning without it, we created this list of the 8 best smartphones for music lovers in India just for you. In order to create our list, first we found out which smartphones have good speakers and produce high-quality sound, using sources like Review Gist, Candy Tech, and Mobile Choice UK. When we found the best smartphones for music lovers, our next step was to find out whether those smartphones were available in India. After we found out which smartphones produce high-quality sound and are available in India at the same time, we finished our list and sorted in by their rating on Tech Radar. Now then, head to the next page to begin the list of the 8 best smartphones for music lovers in India.